Hungary’s ruling Fidesz is a loyal member of the European People’s Party (EPP) but is working to reform it, Hungarian Prime Minister Viktor Orbán said in Strasbourg on Tuesday. 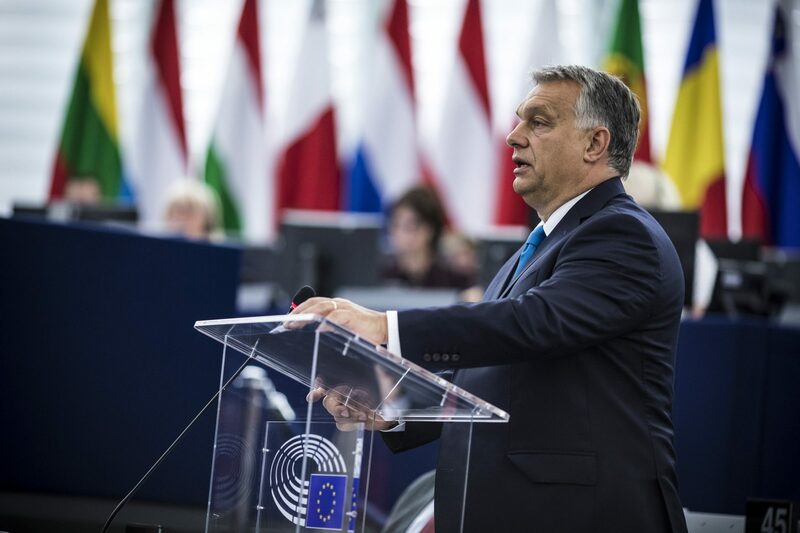 Addressing a press conference following a European parliamentary debate on a report criticising the state of the rule of law in Hungary, Orbán said his Fidesz party was committed to staying in the EPP. But he said the EPP must find its way back to the values, courage, character and path embraced by the group’s founders and former German chancellor Helmut Kohl so that Christian conservative thought and voters could have political representation in Europe. “Because today this is not the case,” he insisted. Orbán said he believed the EPP was in trouble, arguing that in recent years, the political group had “lost its character”. He said the EPP’s only goal was to avoid negative coverage in the European press and accusations at European forums.Asked about his recent meeting with Italian Interior Minister Matteo Salvini, Orbán said border protection was not a partisan issue. He said he was indifferent about whether a government committed to protecting the EU’s borders was to the left or right of his own government. “All that matters is that they should be committed to protecting Europe’s borders because those are our shared borders.”Orbán stressed that he would work with any government, irrespective of political orientation, in an effort to protect Europe’s borders. “That’s all that’s worth reading into the cooperation between the Hungarian and the Italian governments,” he said. Orbán called Tuesday’s debate on the Sargentini report “absurd”, arguing that in Hungary’s recent general election, Hungarians had decided on the country’s future and that the campaign had covered all the relevant issues, including those of Budapest’s Central European University and NGOs. Yet now the European Parliament is seeking to override the decision made by the Hungarian people and to force the Hungarian government to implement “what it’s trying to force on us” over the will of the Hungarian people, he insisted.